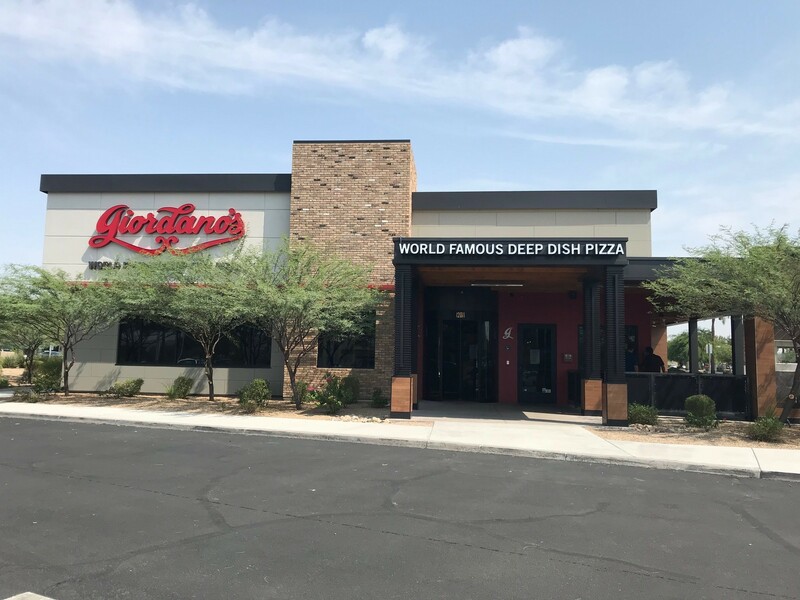 Located in the middle of Village Fair, our Paradise Valley restaurant is positioned right on North Tatum Boulevard, making it close to family-friendly attractions and shopping. Stop by our Paradise Valley location after visiting the Theatre Artists Studio or taking the family shopping at the Paradise Valley Mall. Enjoy a casual dining experience the whole family will love or have our experts bring authentic Chicago-style pizza right to your home. Giordano’s offers real Italian-style food to the locals of Phoenix. Enjoy our famous Chicago-style deep dish pizza right in the middle of the Copper State. Named the best Chicago-style pizza since 1974, our deep-dish pizza has become known for using the best ingredients possible. With Wisconsin mozzarella and a slow-baked double-crust, we make sure each of our pizzas is a masterpiece ready for your family to enjoy. Looking to satisfy the pickier eaters in the family? We also offer a range of sandwiches, salads, gluten-free options and starters. And don’t forget the dessert! When it comes to family-friendly dining, Giordano’s has you covered. No trip to Paradise Valley is complete without Giordano’s. Stop by to try our famous deep-dish pizza after a day of enjoying local shopping or bring Chicago-style pizza back home.